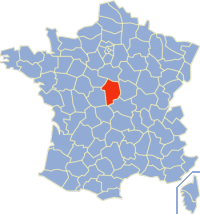 The following is a list of the 290 communes of the Cher département in France. (CAB) Communauté d'agglomération de Bourges, created in 2003. This page was last changed on 21 November 2018, at 23:07.